A frequent question that an estate planning attorney is asked is "When is probate really necessary?" As with many estate planning questions, the answer depends on the specific laws of the state where you live at the time of your death, as well as the laws of any other state where you own real estate. Here is a list of the reasons why an estate would need to be probated. If the decedent owned any property in their sole name, without any other joint owners or a payable on death designation, then in most cases the property will need to be probated to get it out of the decedent's name and into the names of the decedent's beneficiaries. An exception in some states is a motor vehicle. For example, in both Florida and Tennessee, a motor vehicle can be transferred to the decedent's heirs at law without opening a probate estate. Aside from this, some states have a streamlined process for "small estates" that takes significantly less time than a full probate administration. In Florida, a small estate is considered to be valued at $75,000 or less. If the decedent owned any property in their individual name as a tenant in common with others, then in most cases the decedent's tenant in common share will need to be probated to get it out of the decedent's name and into the names of the decedent's beneficiaries. The "small estate" procedure mentioned above also applies to a tenant in common interest as long as the decedent's fractional share is valued at less than the applicable state's small estate cut off amount. Note that if the tenant in common interest was retitled into the name of the decedent's Revocable Living Trust before the decedent dies, then the interest won't need to be probated. If the decedent owned a payable on death or similar type of account; a Health Savings or Medical Savings Account; a life insurance policy; a retirement account, including an IRA or and 401(k); or an annuity, and all of the named beneficiaries of the account or policy have predeceased the decedent, or if the decedent didn't name any beneficiaries at all, then in most cases the account or policy will need to be probated in order to get it into the names of the decedent's beneficiaries. The "small estate" procedure mentioned above also applies to an account or policy without a valid beneficiary as long as the account or policy is valued at less than the applicable state's small estate cut off amount. If the decedent doesn't have a valid last will and testament at the time of his or her death and one or more of the situations described above apply to the decedent's assets, then in most cases the assets will need to be probated in order to get them out of the decedent's name and into the names of the decedent's heirs at law. 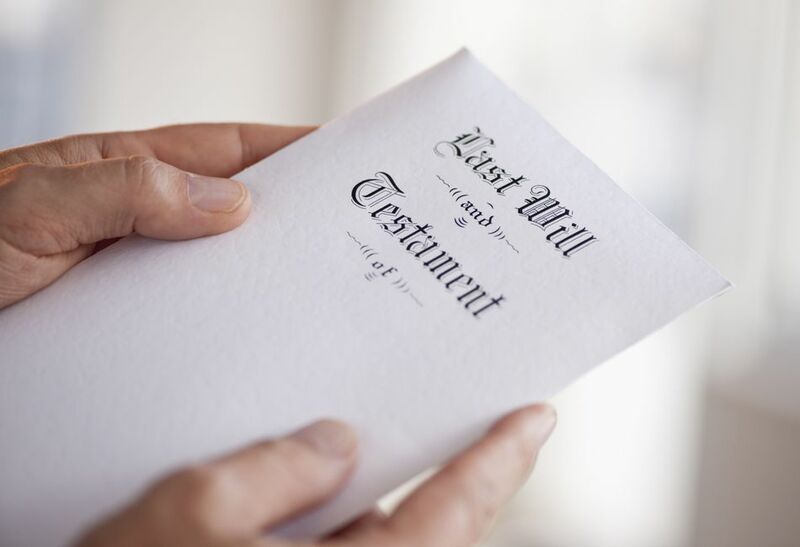 Even if the decedent has a valid last will and testament at the time of their death, if one or more of the situations described above apply to the decedent's assets, then in most cases the assets will need to be probated in order to get them out of the decedent's name and into the names of the decedent's beneficiaries named in the will. The "small estate" procedure mentioned above also applies to a testate estate as long as the value of the decedent's property is less than the applicable state's small estate cut off amount.